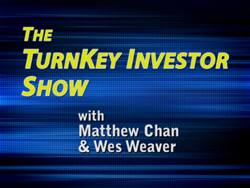 Read the review by Independent Professional Reviewers of “The TurnKey Investor’s ‘Subject-To’ Mortgage Success Secrets” Audio Program. 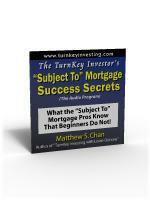 Matthew Chan’s audio program, The TurnKey Investor’s “Subject-To” Mortgage Success Secrets is an informative CD on the success secrets every individual interested in “subject to” mortgages should know. I had already gone through the Handbook so I was familiar with what was covered on the CD and found it to be an excellent tool by which to review the material or to specifically consider the most important details to gain success. Chan points out that subject to mortgages are a special niche rather than a mainstream topic in property management. In order to become successful, an individual needs to do and practice the activity. Hopefully, the Success Secrets will be both an aid to beginners and a review of experiences for professionals. I recommend that if you definitely want to enter into this technique, that you purchase the Handbook. The CD program is a good follow-up to keep material fresh. It could also be a good introduction as individuals actually consider whether they want to try this type of property acquisition. 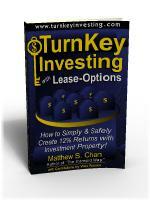 Get property without qualifying for financing. 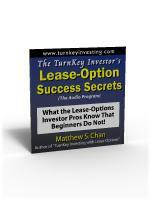 Allows for very fast closings (within days if all things move right). No impact on borrowing power. No impact on property manager’s credit report. Can be profitable even if property has little or no equity. Gives improved sales credit reports. 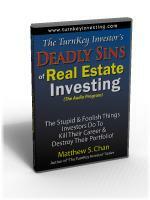 Often saves banks and sellers from foreclosure. 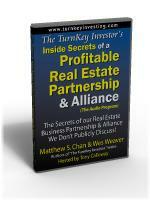 A very important process is ensuring “Deal Flow.” Chan’s group does a lot of marketing. They advertise, “I buy houses.” Striving to continuously get the word out and keep them visible, they advertise non-stop whether or not they are picking up this type of mortgage. They work with “urgent” sellers. Yes, it is unconventional, not ideal, but when a seller is motivated, they are willing to consider this type of mortgage. If you find someone who will trust you, then they are prospective clients. Turnkey Investing works to ensure high credibility in their professional field! Can we meet payments for this property? What is the potential for appreciation? How much repair/renovation would be needed? Due Diligence for “subject to” mortgages is specific to this technique. Highlighting each issue, Chan verifies that the property manager must be very clear about exactly what they are getting into! Chan speaks out against “kitchen table closings,” and instead insists that a formal closing with an attorney or title company leads to a satisfactorily successful closing. It seems logical that individuals in this professional field would realize that financial backup is a necessity. However, success mandates a stronger statement. 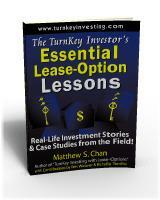 If you can’t do it (borrow to ensure coverage of financial contingency issues), don’t enter into the deal! How many times have we seen small companies fail because of poor administrative or financial management? Chan points out that with “subject to” mortgages, this may be even more important because you are now acting on behalf of the seller who has entrusted you with their property. Chan speaks frankly and openly about ethics as well as attention to managerial issues. Once again, his words are there, ready for you to use in developing a successful career. 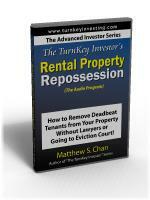 Experienced property managers—this is an excellent overview of success issues!!! Keep it in your car for easy listening as you travel through your day!